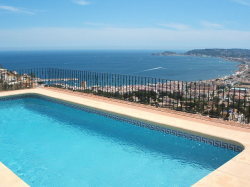 VILLAS AND APARTMENTS TO RENT IN JAVEA, SPAIN. 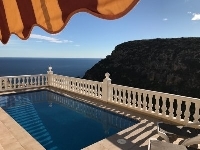 Welcome to our selection of holiday homes to rent in Javea, Spain. Javea is a pleasant, small resort on the Costa Blanca, a short drive from the main regional airports of Alicante and Valencia and a popular town for British ex-pats to settle in. There are no high-rise developments in the town, which is split into two areas by a large headland and is dominated by the Montgo mountain. Most of the accommodation is private housing and apartments with only a few hotels and guest houses in the area. There are two beaches in Javea, the pebble one at the port and sandy on round the headland at El Arenal. The port beach is usually much quieter and as long as you come prepared for the large pebbles, with flip flops and deck chairs, you can enjoy a comfortable day away from the crowds. There are several restaurants and snack bars in this part of town, which are informal during the day and then smarten up on an evening, and will expect their clientele to do the same. You can walk along the pier at the small port to enjoy a view over the whole town, with the Montgo mountain in the background, or further along the coast towards Denia. Boat trips leave Javea daily, either on non-stop cruises up the Costa Blanca or to neighbouring towns like Calpe and Altea. The beach around the headland at El Arenal is larger and much more popular with tourists. There is a lifeguard station, public toilets and showers and a wider selection of beach bars. There are even several shops selling beach necessities, like towels, inflatables and sun tan lotion. There are a couple of play areas for children and on an evening the area is packed, as almost the whole town comes here for their pre-dinner stroll. El Arenal is a good place for an evening meal, with choices ranging from cheap pizzas to posh Thai restaurants and exclusive nightclubs. The old town of Javea is up the hill, towards the Montgo. Wandering the narrow streets is a pleasant way to spend a hot afternoon, and there are even a few bars and cafes near the main square, where the interesting fortress church is also open to the public. There is an outdoors market selling local crafts and souvenirs once a week in the old town, but there is also a permanent indoors market open every morning, where you can buy fresh fruit and vegetables and fish that was just landed that morning. The church often hosts concerts in the summer months and several artists live in the old town area, so keep an eye out for posters advertising any local cultural events while you are staying in town. Looking for self catering holiday accommodation in Javea? 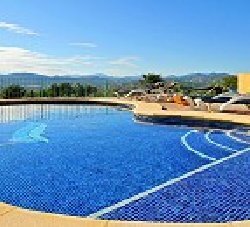 Then below is a selection of apartments in Javea and villas in Javea that can be rented direct from their owners. You can either click on each listing for further details or you can use our search engine on the left if you are looking for something in particular.